We’ve all heard, and may have even made, the critique that there isn’t anywhere Downtown to enjoy good jazz. Well, that’s about to change. 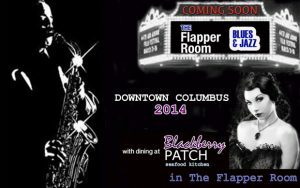 Construction is slated to begin in a couple months on The Blackberry Patch, the latest restaurant from Downtown maven Yavonne Sarber, which will be housed inside The Flapper Room, a blues and jazz joint inspired by the 1920s. The spot is not scheduled to open till January 2014, but the location should hold up to three hundred people, with The Flapper Room and The Blackberry Patch operating as two separate venues sharing the same address.